So you want to send flowers in Canada, but your budget's stretched a little tight? That's totally understandableAfter all, the prime gift-giving season of the year is coming up and there's nothing worse than that "January hangover" when the credit card bills come. But it's easy to take a load off your wallet if you're open to shopping for flowers online. on sale for just $39.95. Here are 5 easy ways to save money on flowers as we approach the holiday season. They know that once you're in the shop, you're not likely to compare pricing, so there's no motivation for them to offer the best possible prices. They also need a nice margin on their products to support the cost of their brick-and-mortar store and other operational costs. Many grocery stores sell flowers because it's often an impulse purchase. Just like the tabloid magazine and packs of gum at the register, they're trying to tempt you to buy something that you had no real intention of purchasing when you walked in. And just like those batteries at the cash, they're high-margin items for the stores. Don't be sucked in. Most of the huge, international, well-known flower sites simply farm out their orders to the local florists. Again, everyone has to make a little margin along the way, and that drives up the end cost to you. Don't fall for it. Do a little bit of price comparison if you have the time. It's quite amazing how much the same bouquets and arrangements can vary in price from place to place. 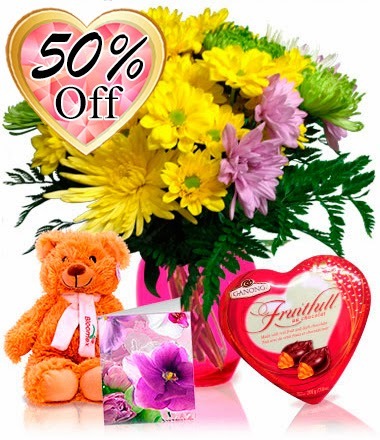 Because of the company's revolutionary business model, we're able to offer flower bouquets and arrangements for, usually, about 35% - 50% lower than our competitors. Bloomex buys straight from the growers and arranges its bouquets in its own, company-owned production facilities spread out across the country -- and on-time delivery is available for upwards of 97% of the population. So go ahead, and shop around as we suggested.... but we already know what you'll find. Bloomex's prices can't be beat in Canada. So you want to send flowers in Canada, but your budget's stretched a little tight? That's totally understandable. After all, the prime gift-giving season of the year is coming up and there's nothing worse than that "January hangover" when the credit card bills come.